Fatalities serve as a reminder to protect workers from demolition hazards. Mr. Kearney provides workers' comp seminars to union members, legal clinics, etc. to help educate the community on their rights! H.K. Washington, DC. I will make sure everybody knows Donahoe Kearney, LLP and the type of service you are providing. Ms. W.
Injured worker says, "I'd like to say thank you to Donahoe Kearney, LLP." A.W. A client expresses appreciation for Mr. Kearney and staff's hard work and communication skills. A. G., Washington, D.C.
What to Expect When Meeting with an Injury Lawyer When deciding between attorneys and law firms to handle your car accident injury claim, find out what you should expect when meeting with a lawyer. In New Jersey, a construction worker was taking down a sign on a building when the wall of the building fell and trapped and killed him. Six months before that incident, a construction worker in Chicago was struck and killed by pieces of falling concrete while construction renovations were taking place on a shopping mall, reported WorkersCompensation.com. Ultimately, these deaths could have been prevented. In order to help prevent these tragedies and to save lives, OSHA has developed resources and training for the construction and demolition industry. Assistant Secretary of Labor For Occupational Safety and Health Dr. David Michaels stated, "demolition workers face many hazards and their lives should not be sacrificed because of deliberate neglect of demolition fundamentals...employers must ensure that all workers involved in demolition project are fully aware of hazards and safety precautions before work begins and as it progresses." Recently, OSHA launched and updated its demolition website to address the hazards common in demolition. Also the safety measures that can be taken to prevent them. 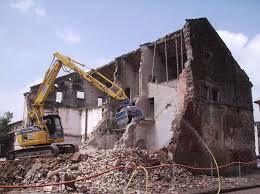 From 2009 to 2013, 1,000 citations for violations were given out by OSHA on the construction demolition standards. The most common citation issued was for the failure to conduct an engineering survey that would determine the condition of the structure prior to demolition. OSHA is also providing demolition training courses on construction safety to federal, state and local government personnel with construction safety responsibilities. It is important that all employers are protecting their construction workers from fatalities that can occur at work sites. If you or someone you know have been seriously injured on a construction site, contact our office for a free and confidential consultation. 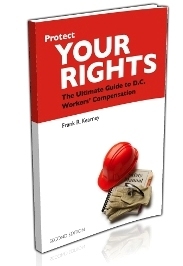 We have written books and guides on the topic of Workers' Compensation, which are free to workers and families in D.C., Maryland and Virginia. If you would like to obtain a copy for yourself or someone you know dealing with a serious work injury, order it from our website, call or email us at [email protected]. For more information head over to the OSHA website as well as WorkersCompensation.com. Worried and stressed out about your workers' compensation case? Not sure if your job's insurance company is telling you everything? Afraid you might make a mistake that could cost you the monetary benefits and medical treatment you need? Don't know what to do if your benefits are suddenly stopped, or your check doesn't come? That's what we're here for. We take the worry, stress, and uncertainty out of the process for the people and families we help. There are a lot of ways we do this for you but that's really what it comes down to. So if you have a serious injury and are worried about it, call us at 202-393-3320 to talk about it, or send us a confidential email at [email protected]. You'll speak to a live person today, and we'll talk to you for no obligation. Nothing to lose and lots of peace of mind to gain. Give us a call today. The decisions that you make early on in the case could be critical to your care. We know this business inside and out and we will be able to let you know when the insurance company is trying to limit your benefits and medical treatment. Order a free, no obligation copy of our book for injured workers. You'll be happy you did.